Some inventions we could honestly take or leave, but once in a while something comes along that makes us want it so bad. The Burritob0t is so amazingly awesome that we probably can’t live without it for another single day. 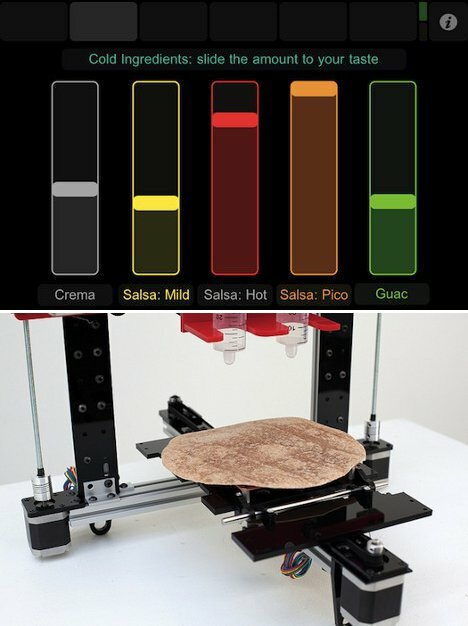 It’s the creation of Tisch School of the Arts graduate Marko Manriquez, and it uses the principles of 3D printing to create delicious custom burritos. In regular 3D printing, materials like melted plastic or ceramic would be fed through an extruder layer by layer to build up a 3D object. Burritob0t uses layers of tasty ingredients to build a burrito that is exactly the way you want it. A carousel of ingredients rotates to deposit every ingredient in the proportions you choose through a web app interface, substituting edibles for the usual non-delicious materials. Besides being tasty and fun, the Burritob0t project brings up some important points about the food industry. The project allows us to look at the issues of food miles, production methods, environmental impact, and just what food means to us. Plus, hey, it makes burritos – what is there not to like? 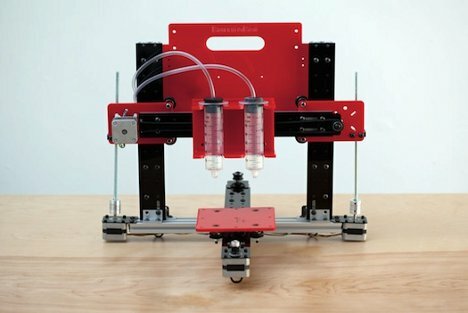 Marko’s ultimate goal is to raise the funds needed to start a food truck serving his unique brand of 3D printed burritos. See more in Weird Science or under Science. June, 2012.